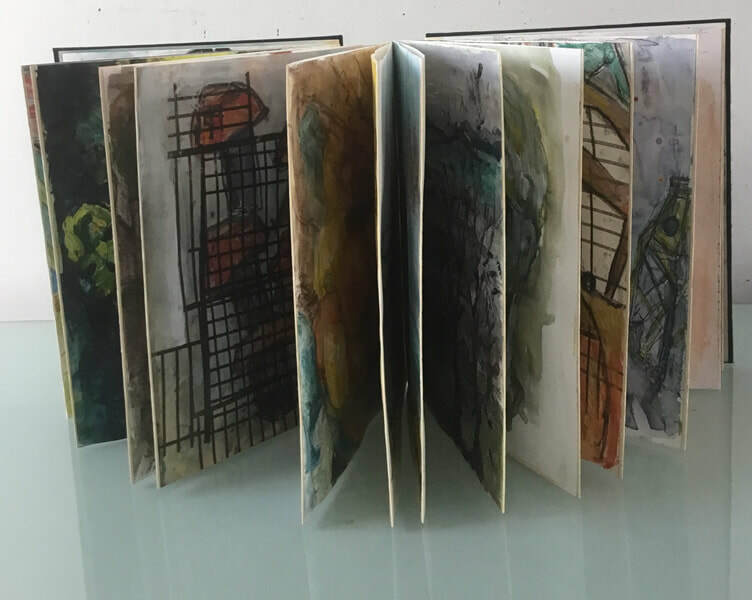 The work that Margot creates evolves from her personal response to her environment. 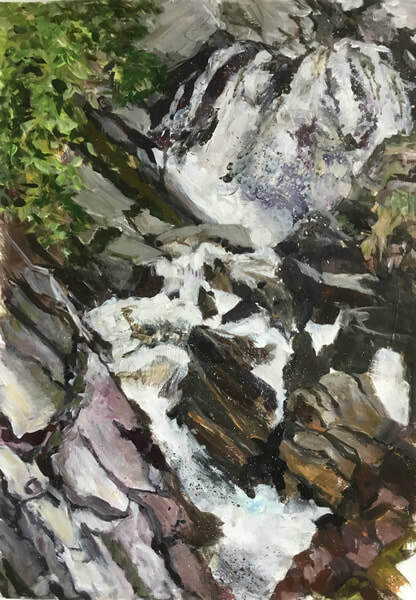 Different places have inspired her to explore the drama of shapes, colours and textures of landscape. Traces left in ancient landscapes can tell stories and she imbues her images with an atmosphere of calm, giving the viewer an opportunity to construct a narrative around what they see. 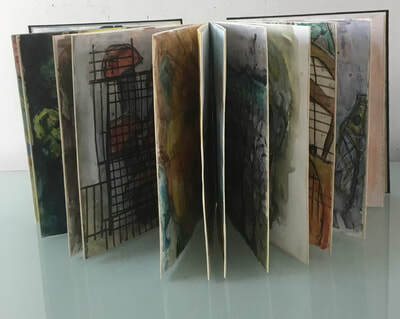 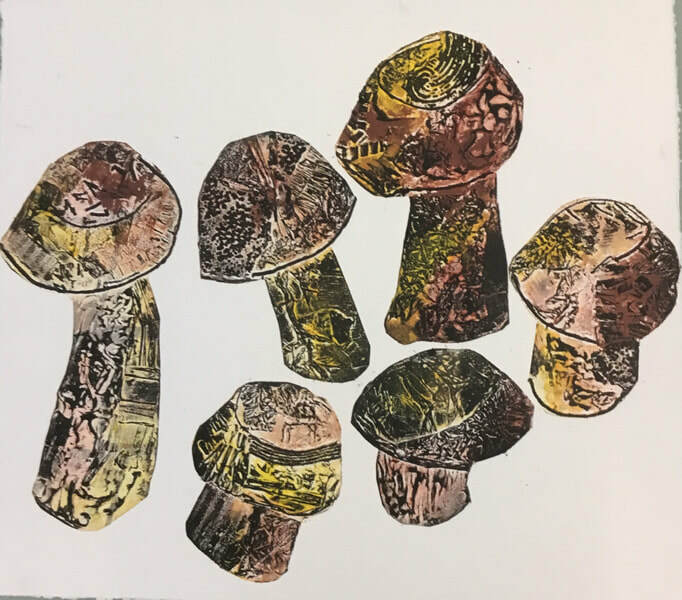 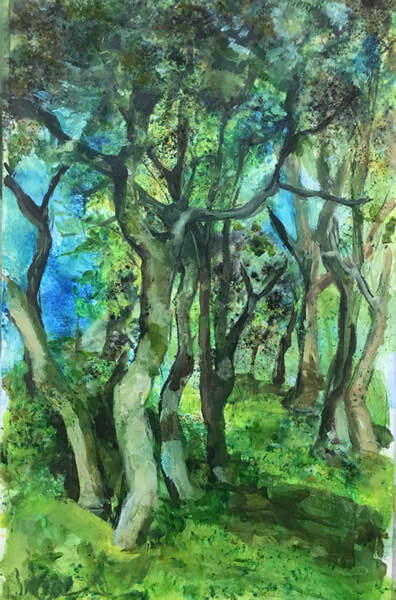 In both her painting and printmaking practice she utilises whatever may happen during the production process, making it an organic process, informed by her sketches and photos to produce a unique piece of work.